"It's the realization of a dream." "It is majestic and beautiful." "The colorful beauty... calls up inspiration and reverence." "Italian marble gives richness to interior." This year Tonelli Studios celebrates 65 years of outstanding achievement and commitment to providing the highest quality ecclesiastical artwork throughout the United States. Our artwork, created by the master artist, Sirio Tonelli, is displayed in over 100 churches around the United States and internationally. Each piece created by Tonelli Studios is produced in Pietrasanta, Italy, using the same methods as the mosaic artists of the 15th century. Our studios in Italy employ three generations of mosaic artists, some of whom have worked with us for 60 years! These artisans employ the same methods of cutting the mosaic glass by hand chisel and creating the entire composition on paper in the reverse. Our mosaic comes from Venice and is of the highest quality in the world. Our marble studios are adjacent to the famous Carrara marble quarries that supplied the marble used in Michelangelo’s Pieta and David sculptures. 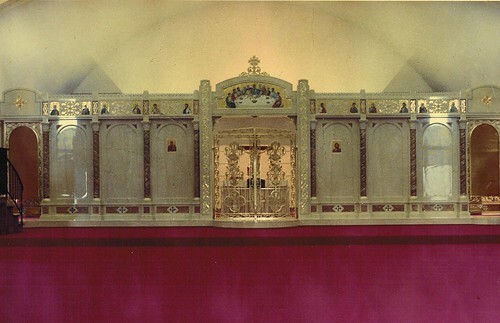 We create a wide variety of sculptured marble pieces with inlaid mosaic, such as icon screens, bishop’s thrones, altars, chanter stands, baptismal fonts, offering tables and candle stands. Our unique stained glass is made at our studios in Tuscany utilizing the finest German glass, hand cut and bound with lead and framed in steel. 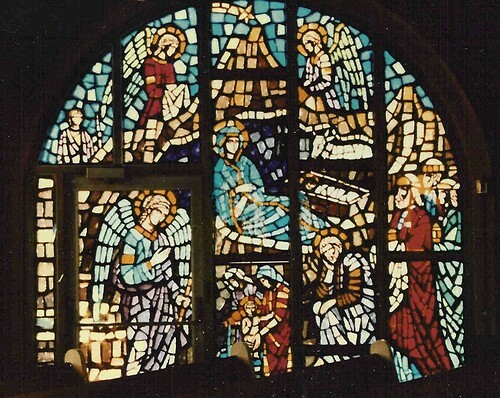 The methods we utilize in creating the stained glass windows are the same methods that have been utilized since the 6th century AD. Our skilled artists pay great attention to detail and are able to deliver quality on projects of every scale. 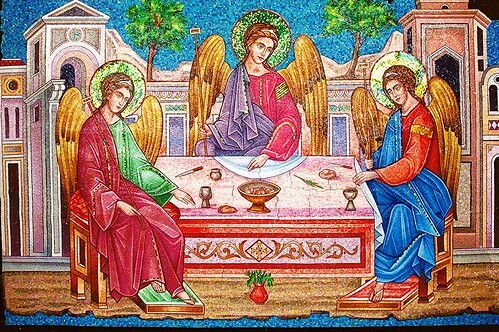 Tonelli Fine Art Studios has artwork featured in over 100 churches throughout the United States. Sirio Tonelli is widely recognized as one of the greatest Byzantine artists of our time and one of the most talented classical artists alive today. Below are some of the services we offer in which every one of our skilled artists deliver the best of quality on every scale. Tonelli Fine Art Studios recently finished an exterior mosaic rendering of The School of Athens, by the Italian Renaissance artist Raphael, at The Muses event hall, located on the grounds of the Dormition of the Virgin Mary Greek Orthodox Church in Southampton, New York. Our professional Restoration Specialists, Designers & Consultants are ready to assist your Church, Worship facility or other venue. We look forward to hearing from you.